At Tandådalen there is a febrile activity at the moment. The snow has come, the last job interviews with seasonal staff are held, it is built, painted and fixed around our restaurants, bars, waffle cabins and cafes. 2017 is an eventful year and we have much great news left to bid before the end of the year. The biggest impact on Sälen in the long term is that the construction of a new airport has begun. Read more about this here. Jonas i Sälen, who runs the Tandådalens Wärdshus, TD Lounge and O’Learys Tandådalen, has also developed his business. In Lindvallen, a newly built Sälen Business Center of more than 2,400 sqm has been put into operation. There are production kitchens, a state of the art laundry, office hotel, office, etc. 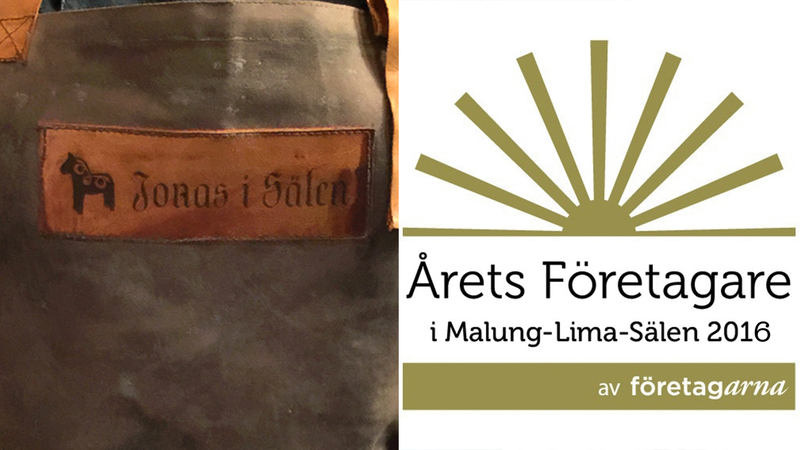 One of our tenants is Sälen Fjällbryggeri. Read more about Sälen Business Center here. During the year we have also taken over the operation of Olarsgården Hotell & Restaurant. Read more about Olarsgården here. To begin with, we want to flag because our Christmas table on Christmas Eve and our New Year’s Session with a party begin to sell out. Book Christmas table here. Book New Year here. New Year’s Eve at O’Learys Tandådalen can be found here. Book here. We would also like to recommend our large cottage Gattar in Tandådalen. An ideal, exclusive cottage for larger groups and businesses. Affordable Sunday-Thursday, as well as a single week and Thursday-Sunday, remains. Read more about Gattar here. Skistar opens the facility as soon as they have good slopes to offer. Follow us on our blog and on Facebook so you will not miss. We open the Tandådalens Wärdshus and the heat pit Bakfickan when the slopes open. Last year, the cross-country ski trail Kalven was due early in November. We will notify you as soon as it is tracked. TD Lounge sneak starts open Friday 17 November. Read more here. When do you drop the après ski bands? We double check the last bookings and confirmations. Our ambition is to offer genuine après ski, the best of the mountains, as usual. We know that ours and your favorites are coming this year as well and we work best to fix so that our après ski reaches new heights in the coming season. In short, we present news and the entire list of bands. Follow us on our blog and on facebook to get the news first. For news in the ski area, we refer to Skistar. Work on the development of snow production continues uninterruptedly. This year, the park racing is being focused on SkiStar Snow Park in Östra Tandådalen. Large, snow-capped snow piles have recently been unveiled and the conditions of the snow that have already made it look promising. Talk well. We will also present great food news for this season. Dinner in the cottage, half price … Curious? Follow us on our blog and on facebook to get the news first. Tips – The Weekly Program! Our weekly program has become a success. Last season, we posted it on Mondays. 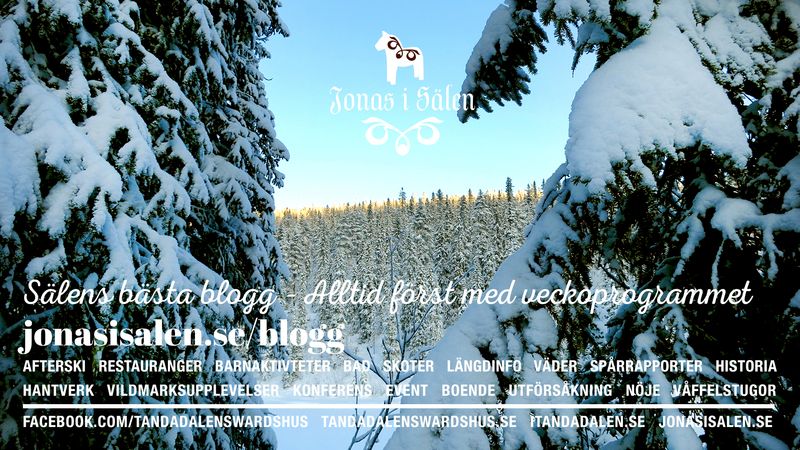 In the weekly program, you will find everything you need to know about what’s going on in Tandådalen but also tips on something else in Sälen. We have been the first to report when cross-country trails opened. We make reports, for example, a family of children who travel the calf with a picnic. We tell you about our après ski band. In the program, you can find movies from classic shows to ski slots and other fun. In the weekly program, you will find times, offers, children’s activities, tips and more. Do not miss the weekly program. Follow us on our blog and on facebook to get the news first. All our accommodations can be found here. We hope for a long and beautiful season. Do you remember last season? When we in Tandådalen had the most snow in Scandinavia, not once but several. A good bit over a meter. We are humble for the weather’s powers. We know that no matter how many degrees of mining it will be, we will cook in the fire, serve hot coffee drinks and chocolate with cream. Delicious waffles, homemade home cooking. Good freshly baked bread and buns. We will drive après ski with pjäxdans and congatåg. We will enjoy good drinks and nice music until late late late. We are going to hunt, eat and go back to O’Leary’s Tandådalen, playing with Valle in his Skidland, and we will go on to the great outdoor events, Easter’s Outdoor Après ski and the ending UtomhusHousen – Outdoor House. Welcome to Tandådalen and Sälen this winter!